This is the view that greeted us when stepping out of the Canal Walk shopping mall this evening. This canal stretches the length of the shopping centre, providing entertainment by day in the form of canoe and gondola rides and exquisite evenings as the sun sets and the light dims. 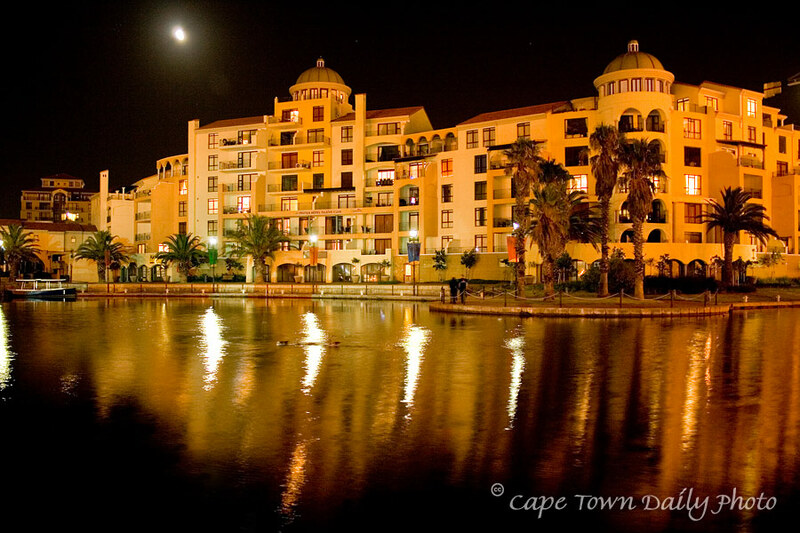 The building on the other side of the canal is a Protea hotel - wouldn't it be lovely to stay in one of the rooms for a night or two? This isn't a plug for the hotel, I in fact have no idea whether or not it is a nice play to stay - the atmosphere outside was just so quiet, relaxed and serene that I had the impression it would be a great place to stay. Posted in General on Thursday, 14 February, 2008 by Paul.